A perfect cupcake kit for our jungle themed party. Featuring four animal character cupcake toppers and beautifully patterned cupcake cases and crafted to our premium standards. Set contains 24 cupcake cases in 2 designs and 24 toppers in 4 designs. 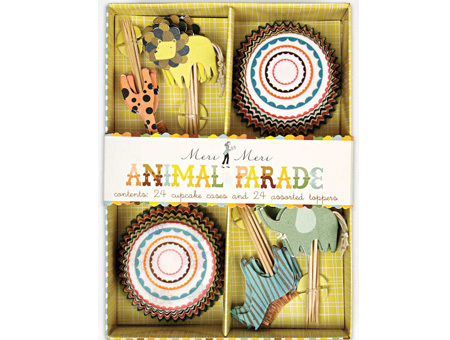 Add these to your Mrs Fox's Party in the Jungle party box to charm your little guests.